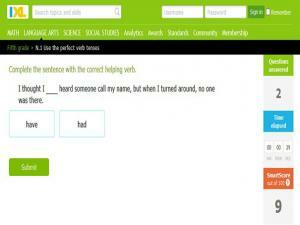 This site clearly shows the basic form of the Future Perfect tense and goes through the different uses, as well as showing how to use it to form positive and negative questions. 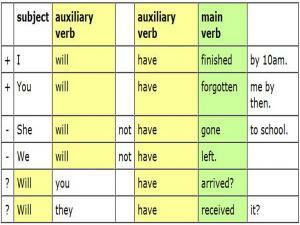 The future perfect tense is only used in a few situations, but it's still good to know it. 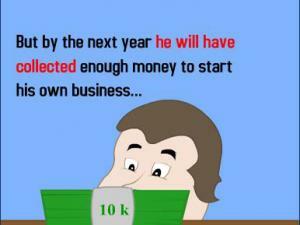 This site shows you how to make it! The Future Perfect is not a very common tense in English. But you should know it well, and understand it when it is used. 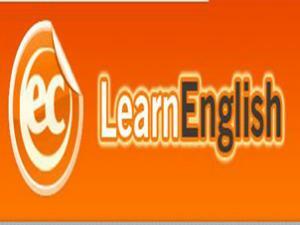 Read and understand the following explanations and examples. Read and understand the Rules. Then Practice, practice, practice with the Exercises! 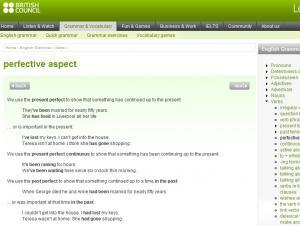 The future perfect tense is quite an easy tense to understand and use. The future perfect tense talks about the past in the future. 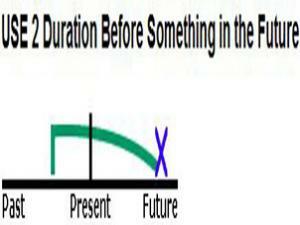 Learn how to make the Future Perfect and then practice using it. This site goes through the 2 different forms of the Future Perfect: "will have done" and "be going to have done." Unlike Simple Future forms, Future Perfect forms are usually interchangeable. There are also Exercises at the end to practice both forms. 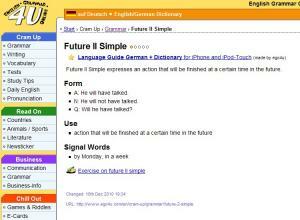 This page explains how to create and use the future perfect tense. There is one exercise for you to practice and it will tell you if you get the answers right or wrong. 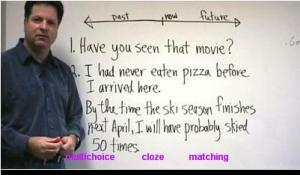 Go through the form and use of the Future Perfect tense, then complete the Future Perfect sentences below.